All Measurements are in mm. Cartons can be made in both 3 ply and 7 ply. The products listed are the standard stock items. We can also make any other sizes as per your requirements. 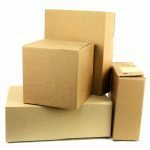 Referred to as the Medium Carton widely used for Moves and can take up to 25 KG. This is a Hanging Wardrobe whereby using the accessory Rod you can hang the clothes on hangers so as to to keep it from any creasing.